Gunny Wolf from SemperToons has created this cartoon that features low-angle view of Marines standing in front of the American flag on the left with hands gripping the Marine flag on the right. Text "SEMPER FIDELIS" is featured in white script font on the bottom of the image. 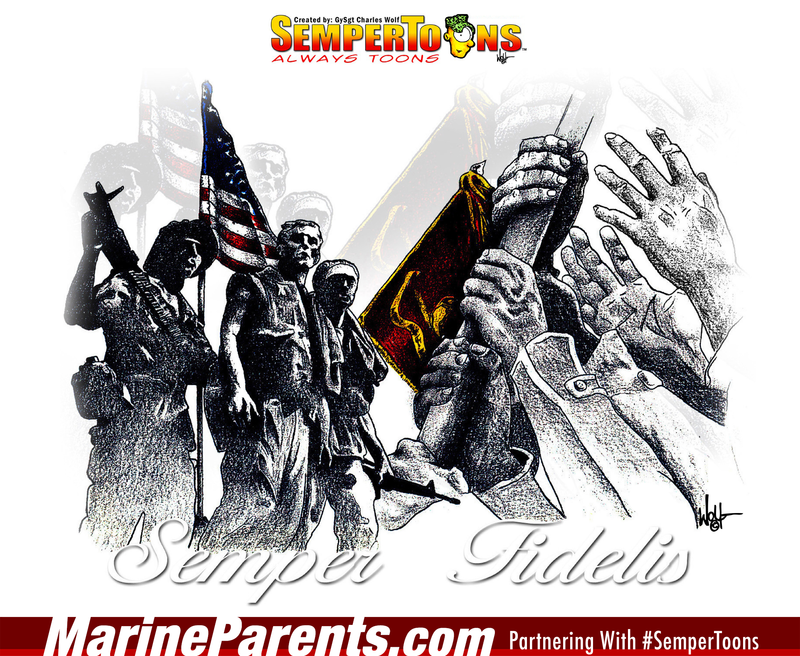 Shop Semper Fidelis SemperToons at the EGA Shop.